On my way home last night, I stopped by an extremely small docomo shop. 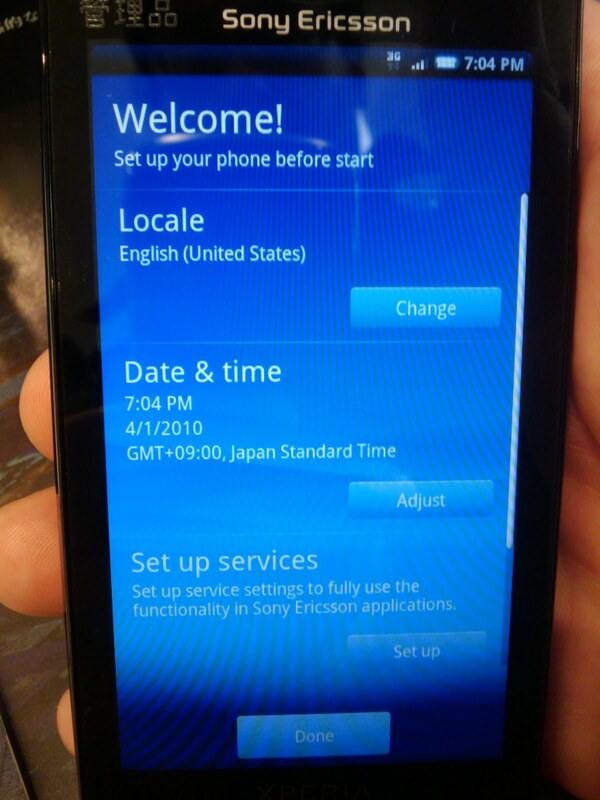 They had a working Xperia on display but apparently they just plugged it in and plopped it on the display rack because when I unlocked the home screen, I was greeted by a set your language page. I didn't scroll through the whole thing, but if the top of the list is any indication, it comes with an impressive number of languages. Heck, even those guys who like to add 'u's to words like color will be happy. So, out of habit, I set it to US English, played around a bit, and then left. I realized a bit later that the two young ladies working the shop might not have the foggiest idea how to set an android device's language, especially if it is already set to English. Oops. My apologies if this resulted in any trauma. Found this today. Haven't seen that device. Is it something new? It's been in the works for like a year or so. I have a couple of posts on, actually 8 according to my labels. It was just released yesterday and is selling for around 25,000 yen with all possible discounts, including a new contract with a ported over phone number. Otherwise, maybe add 10,000 yen or so - haven't looked into the price seriously, so I am not sure about the details. Ahh, never mind, they updated the picture. It showed a picture of some phone other than the x10, and the title called it the x1. 1) No multi-touch and hardware is not capable so OS update won't help. Personally, I'd hold out for the Desire later this month, if you can tolerate the Softbank network. hardware is supposedly capable- it only needs an upgrade to 2.1 to support multitouch. I had the occasion today to give a 10 minutes trial over the X10. I had all the time the N1 in the other hand. - The screen is not as bright as the N1 but is very nice. - Mediascape has the icons and text toooooo small. - Generally the X10 is less reactive than the N1. - The 3 bottons are awful, they make a strange sound when clicked. Much better the touchbotton of N1 and Desire. - The camera is really impressive, the best I have ever seen on a mobile phone. - The bigger screen is nice but not necessary. Thanks for the info. Sounds like SE needs a few hardware iterations to match HTC. 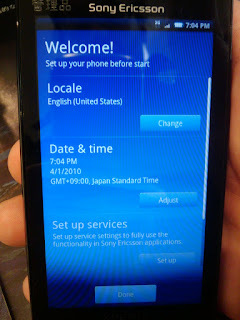 Now that the X10 is out, does anyone know when Android 2.0 might be pushed out? Unfortunately, no. It seems the world is waiting on HTC to release firmware for the magic.